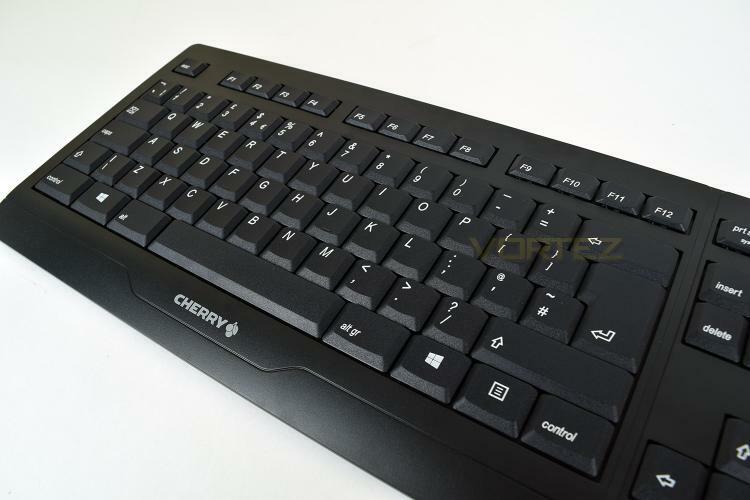 CHERRY is perhaps best known for their renowned mechanical switches amongst the gaming community, but they’re in fact a world leader in the PC peripheral market, producing many products for the office and industrial sectors. The B.UNLIMITED 3.0 is aimed at the office, appealing to customers who want a reliable keyboard backed by German build quality and well-thought out design. The B.UNLIMITED features an incredibly low-profile design, a 128-bit AES encrypted wireless connection, for complete peace of mind, handy shortcut buttons and built-in Ni-MH batteries. You may also be surprised to find that this keyboard doesn’t use their own Cherry MX key switches, but instead uses a membrane SX key. The keyboard and mouse are available in black and white, dependant on your region and keyboard layout. We first reported on the B.UNLIMITED 3.0 back in April, after which, CHERRY were keen to send us a sample to review, read on for our report.